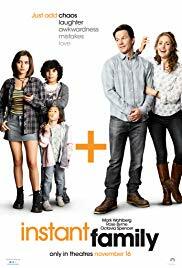 At a glance, Instant Family looks like a by the numbers cliché movie and while it does indeed utilise a trope or two, it also manages to hit that sweet spot where laughs and recognition intersect. Parents will empathise all too well with the trials and tribulations of the new-to-the-biz parenting duo (played remarkably well by Mark Wahlberg and Rose Byrne) and in fact it’s difficult not to empathise with their frustrations and anger whoever it’s aimed at throughout the flick. It has genuine laughs and moments that will warm the heart. The schmalz isn’t too heavy in this surprisingly endearing film.